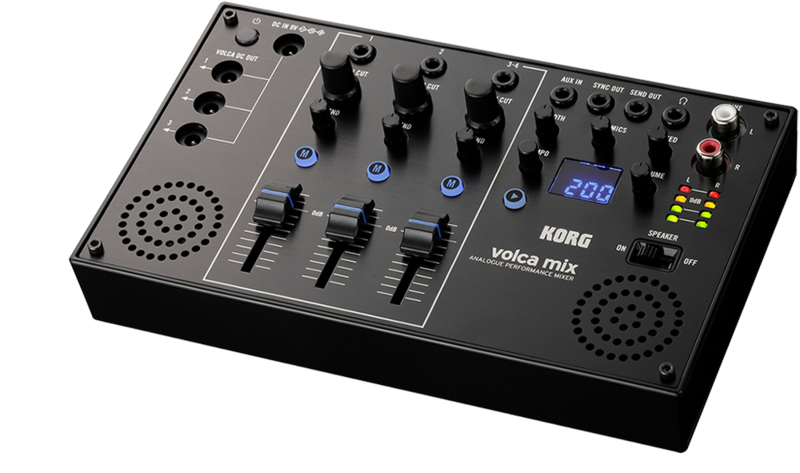 An analogue performance mixer that completes your volca setup. 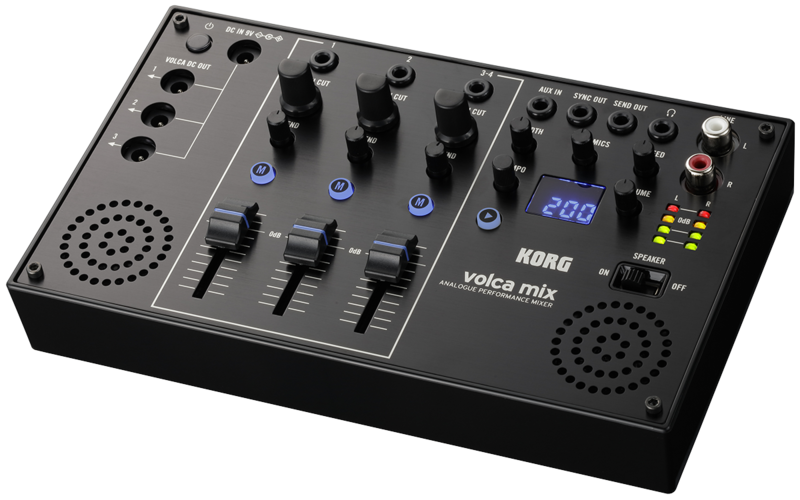 volca mix is the long-awaited mixer for the volca series. 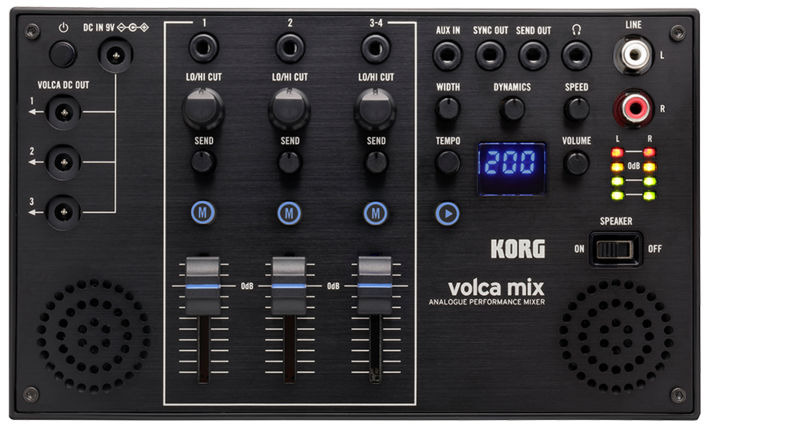 The volca mix is a four-channel analogue performance mixer that lets you construct a live setup combining multiple volca units. Volume faders are easy to control, plus crisp-sounding LO/HI CUT filters, and a master chain that radically transforms the sound. 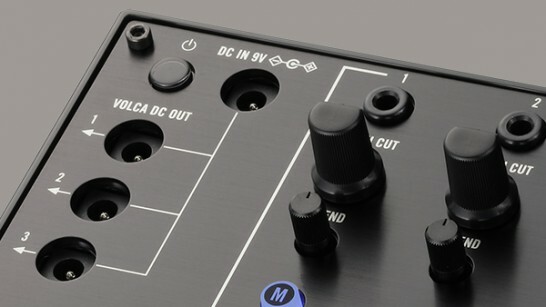 In addition to the sync function found on all volcas, there are also DC output connectors that can supply power for up to three volca units. 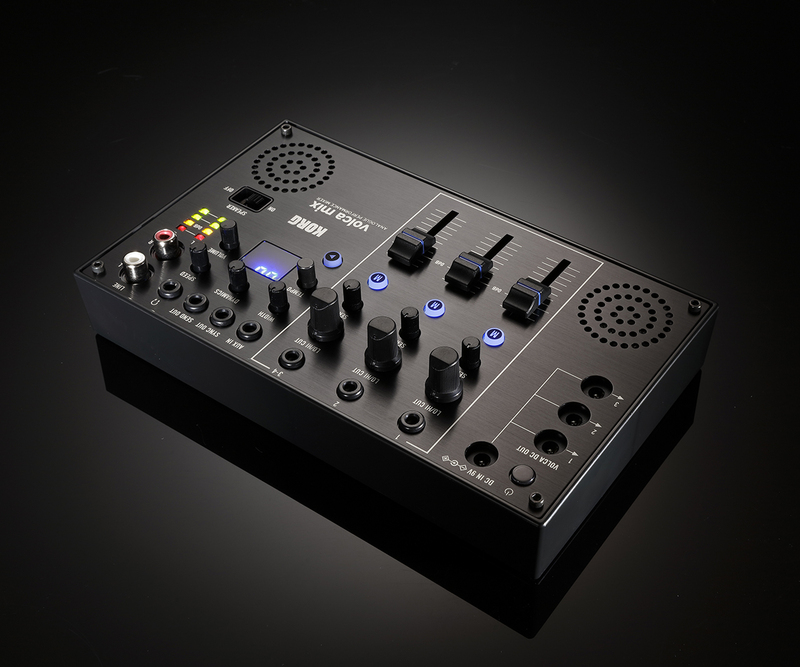 Numerous functions to facilitate your on-stage volca performances have been packed into a high-quality aluminum-paneled body, reminiscent of a high-end DJ mixer. The volca mix will unlock the maximum potential of the volca series. An analog mixer for performance. 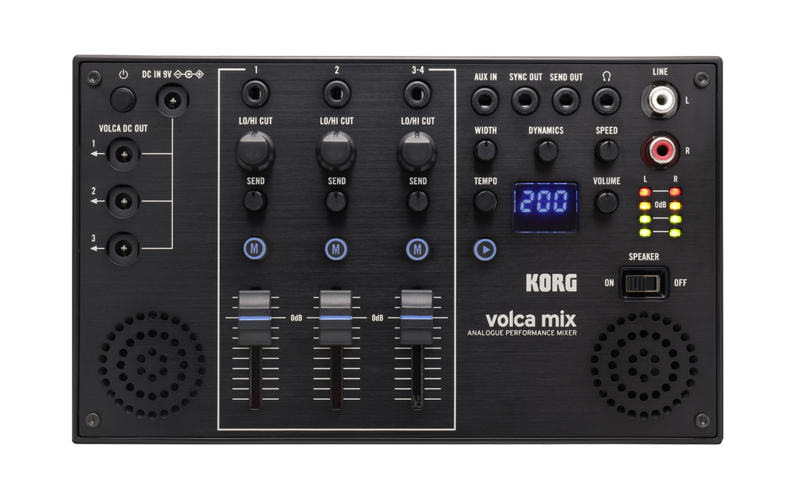 The volca mix is a four-channel analog mixer with an intuitive interface and plenty of connectivity. It provides two mono inputs and one stereo input, perfect for connecting three volca units. 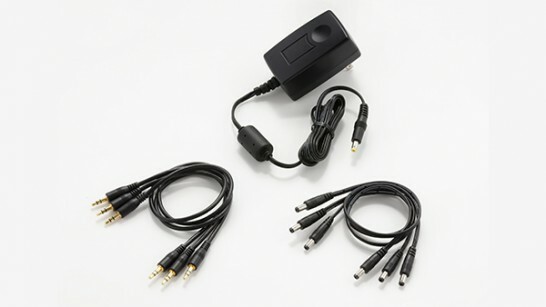 The jacks are mini-jacks, allowing you to make connections with just one stereo mini-cable from the headphone out of each volca unit. The channel volumes use vertical faders that allow precise control. The gain can be boosted to adjust the mix balance, and mute buttons are also provided. Each channel is also equipped with a LO/HI CUT filter that lets you control the low and high frequency ranges with a single knob. The pristine, natural-sounding filters that you expect from analog gear give you complete control over the character of your sound. 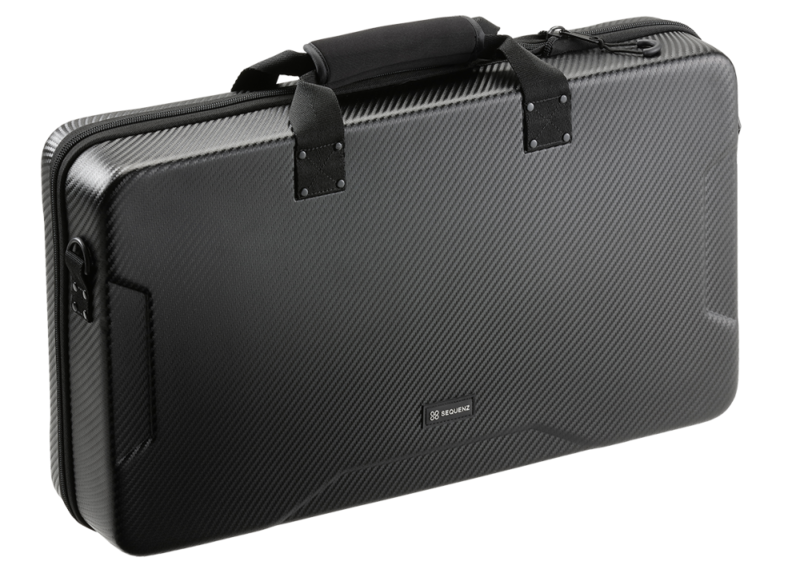 Output and monitor capabilities for use on stage, plus stereo speakers for maximum portability. The output section provides RCA stereo line outputs to ensure stable connection. There’s a master volume with LED VU meter for adjusting the output level, as well as a headphone output that can be used simultaneously with the line output, providing a reliable monitoring environment on stage. 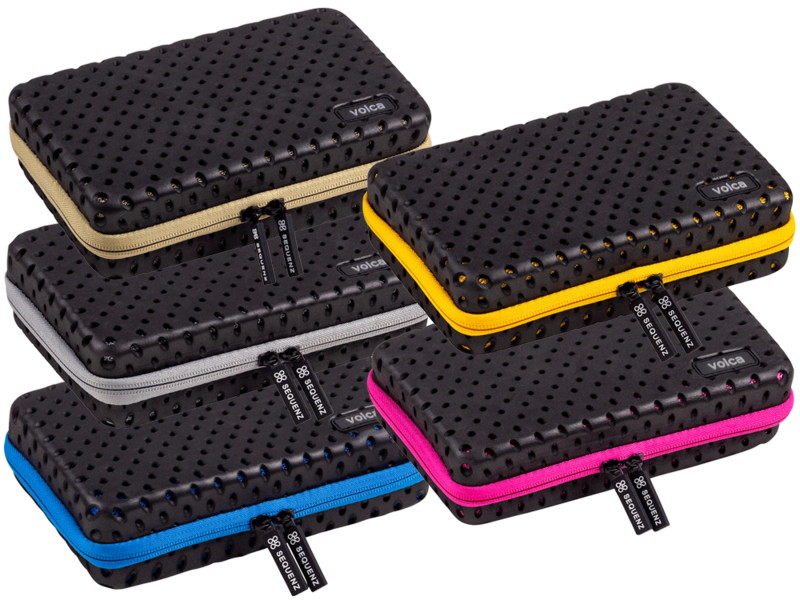 Speakers are also built-in for excellent portability. 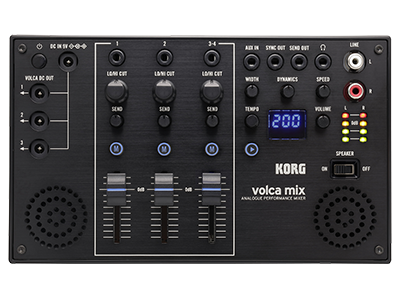 The stereo speakers are placed at both sides of the front, and while compact, deliver SPL levels that are even greater than the built-in speakers on previous volca units.